Uttarakhand Abkari Sipahi Physicals was held on January Month 2013. After all the successful candidates in Abkari Sipahi physical the UBTER (Uttarakhand Board of Technical Education Roorkey ) organizes written examination for them and the written examination date is 10th of March 2013 in different Centers. 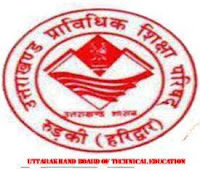 The total Examination centers in Haridwar are 5 which are SMJN PG Collage, PB Municipal Inter Collage, SD Inter collage Kankhal, Gurukul Mahavidhyala, and Swami Darshnanand Institute Gurukul Mahavidhyala. The total candidate’s registers for this Exam are 1527. As per The Secretary of UBTER the exam will held from 10:00 am to 12:00 am for 2 Hrs. For More Information you can directly check the link www.ubter.in and you can also send us mail for any other clarification.